More cash would give Nissan financial flexibility in case its three-way alliance with Renault and Mitsubishi goes sour. TOKYO -- Nissan plans to repatriate more than $1 billion in cash from its Chinese subsidiary, according to people familiar with the matter, a sign the Japanese automaker is building its financial firepower amid tensions with French partner Renault. The transfer of 7.5 billion yuan ($1.1 billion) of the Chinese unit’s earnings could be completed by the end of January, one of the people said, asking not to be named because the information is not public. Typically Nissan, which has made cars with China’s Dongfeng Motor since 2003, reinvests the profit to avoid taxes, one of the people said. 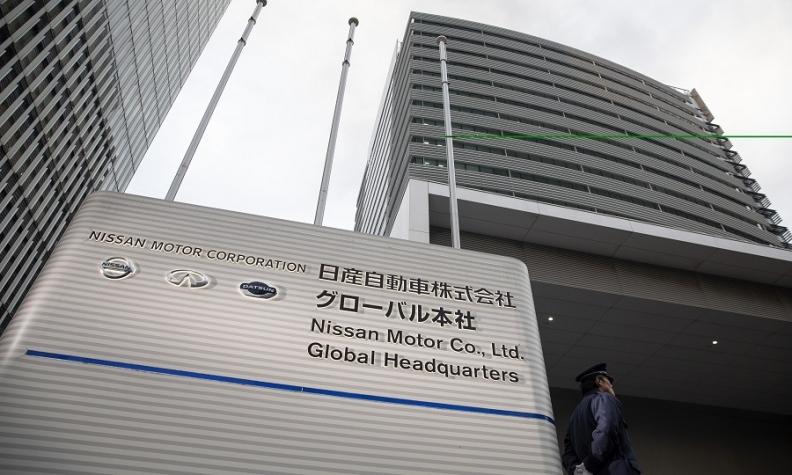 Filling its coffers at home would give Yokohama-based Nissan financial flexibility in case the three-way alliance with Renault and Mitsubishi Motors goes sour. “Nissan is not planning or undertaking any transfers except those that would ordinarily be made in the course of business,” the company said in a statement, declining to comment specifically on whether it is moving money from China. “This notion that this transfer is unusual is baseless,” it said. Tensions in the Franco-Japanese partnership have surfaced since the Nov. 19 arrest of Carlos Ghosn, whose legal limbo has left the alliance without the leader who held the two sides together for two decades. While the automakers have expressed commitment to the project behind the scenes there are suspicions. The Chinese unit was told in June that Nissan planned to move the funds as a profit distribution, though no schedule was given at the time, one of the people said. The transaction will cost about $100 million in taxes, the people said. Renault executives have quietly seethed over any notion that Nissan may use Ghosn’s exit as a way to alter the balance of power in the alliance, in which Renault has a 43 percent voting stake in Nissan. In turn Nissan, owns 15 percent of Renault, with no voting rights. Any attempt by Nissan to unilaterally buy a stake in its partner would be akin to war, a French government official has said. “There is no intention whatsoever to use transfers for the purchase of Renault shares,” Nissan said. Shares of Nissan advanced 1.4 percent in Tokyo and have lost 6.8 percent since Ghosn’s arrest. Renault has declined 13 percent over that span. Nissan has long been irked by what it sees as French government meddling in the alliance and is seeking to redress imbalances in the partnership, people familiar with the matter have said. Tensions peaked in 2015 when France, under the leadership of then-economy minister Emmanuel Macron, increased its stake in Renault without informing Ghosn. Ghosn has been removed from his role as Nissan’s chairman since his arrest, but remains chairman and chief executive officer of its French partner, pending proof of alleged wrongdoing he is accused of in Japan. According to Japanese corporate law, Renault’s voting rights could be canceled if Nissan raises its shareholding to more than 25 percent in the French automaker. Under French rules, a drop in Renault’s Nissan stake to below 40 percent would help the Japanese automaker get voting rights in the French company.